The 2012 Auto Expo in Delhi India may bring our first look at the nex gen Suzuki Jimny 4x4. The current model has been on sale since 1998 in most parts of the world, sans North America. The pint-sized 4x4 has a reputation for being tough as nails but is starting to show its age after nearly 14 years without a redesign. Well, that will likely change shortly. There have been a few teaser shots of the next-gen Jimny, but they are just that: teasers, as you can see above. However, the fact that a new model is coming is news. The Jimny has always had solid front and rear axles which, although not optimal for ride quality, are extremely durable and preferred for off roading. With many other off-road legends going to a fully independent suspension, such as the much larger Toyota Land Cruiser, Jeep Grand Cherokee, and Nissan Patrol, it makes me wonder if the Jimny will ditch its solid-axle roots for a more civilized ride and less off-road ability. Also, will the the tiny 4x4 make a comeback to North America? 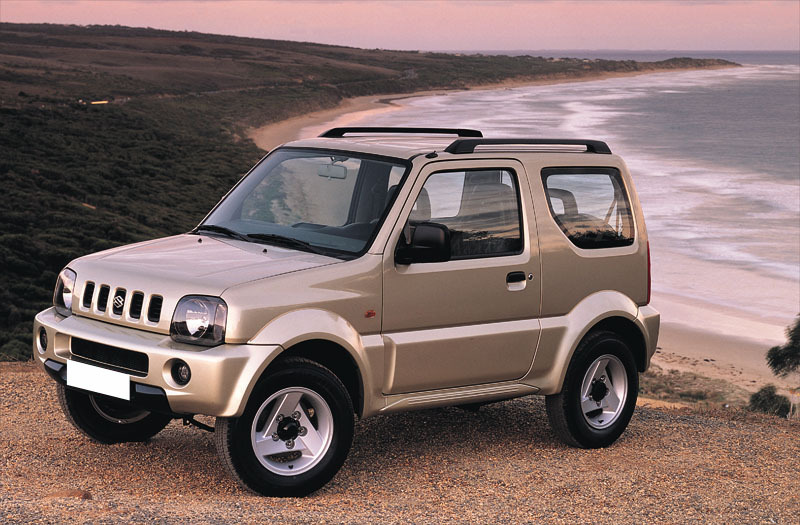 American Suzuki could use a new model that sells well, and the Jimny could occupy an empty niche of small 4x4s that hasn't been filled since the two-door Chevrolet Tracker ceased to exist in the early 2000s. It was, of course made by Suzuki. So whether or not the U.S. will get the new model remains to be seen. 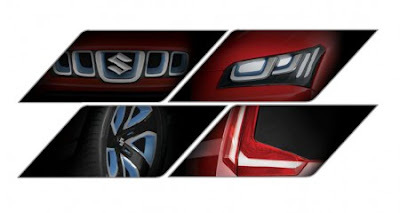 What is for sure is that Suzuki will be releasing a new Jimny to many parts of the world in the not-so-distant future. There are lots of RVers looking for small, off-road capable and towable 4 x 4s. I know I am. Bring the Jimny to the US and I'll buy one. I agree. Look at Samurais and Sidekicks/Trackers. I swear they are the most towed vehicles behind RVs. I own a 1990 suzuki sidekick. still runs like a top. i'll be crossing my fingers to get the chance to upgrade.